In Duskvale, a grass covered city of the past, a storm is brewing – a huge tornado begins to spread, devouring parts of the town. You and your sister Lynn are faced with the destruction of your home, but in the process of evacuation a strange power is uncovered – Lynn possesses some kind of magical force. This magic can harness the storm - a power thought to be gone from this world. Discover the secret behind Lynn’s heritage, and the very fate of your world! Survive a supernatural storm, technological wonders and magical beings bent destroying all you cherish. Uncover a fantastic world littered with relics of the past, both ruins of skyscrapers and technological or even mystical wonders. In this world, you are on a personal quest that spirals into something potentially earth shattering – literally! A wedding's on the horizon, but will it happen? Find out in the Bonus Game! Review your collectibles to unlock additional content! 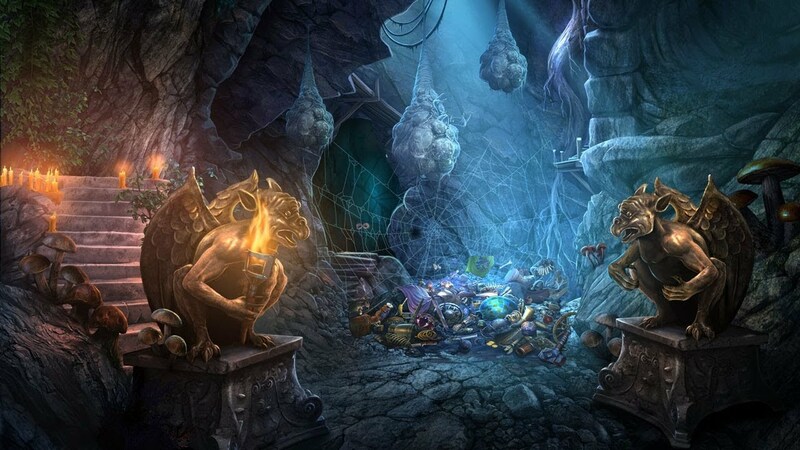 Did you find the hidden morphs in each hidden object scene?